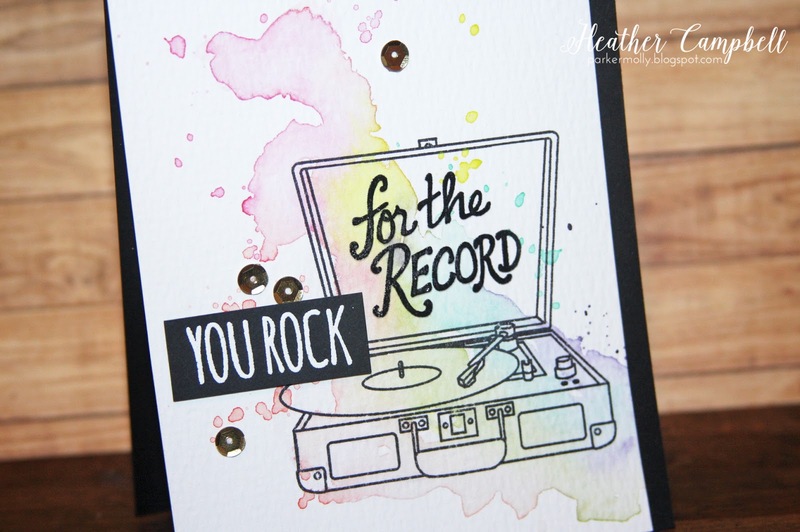 Today we have Heather Campbell sharing, we were so lucky to have her helping out with our release this month and she's back with a couple more cards today! Hello! 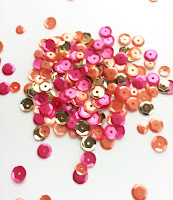 I'm thrilled to be here today on the Neat & Tangled blog helping out for a few weeks! I've been a huge Neat & Tangled fan from the beginning and it's been so fun to play with the product for this last release! 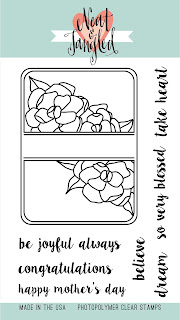 Today, I have two cards to share with you today. 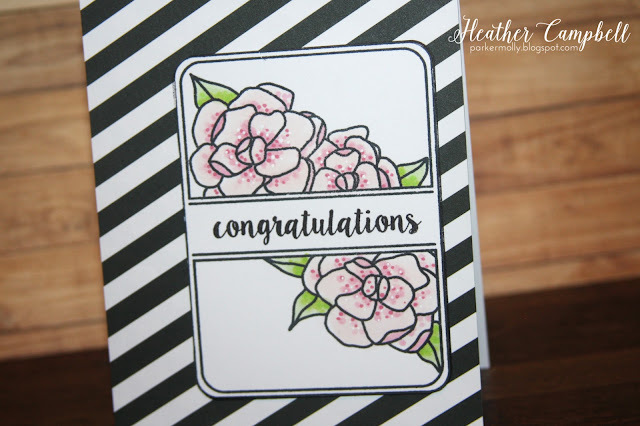 My first card uses the new Gardenia Blooms Journaling Card stamp set. 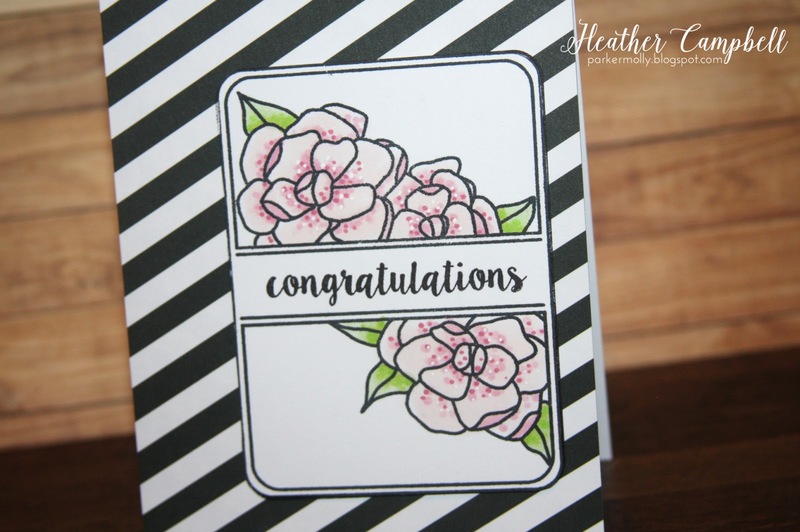 To create this card, I stamped the journaling card and a sentiment on white card stock and then I colored the gardenias in with Copics very lightly using dots to create the depth and interest. 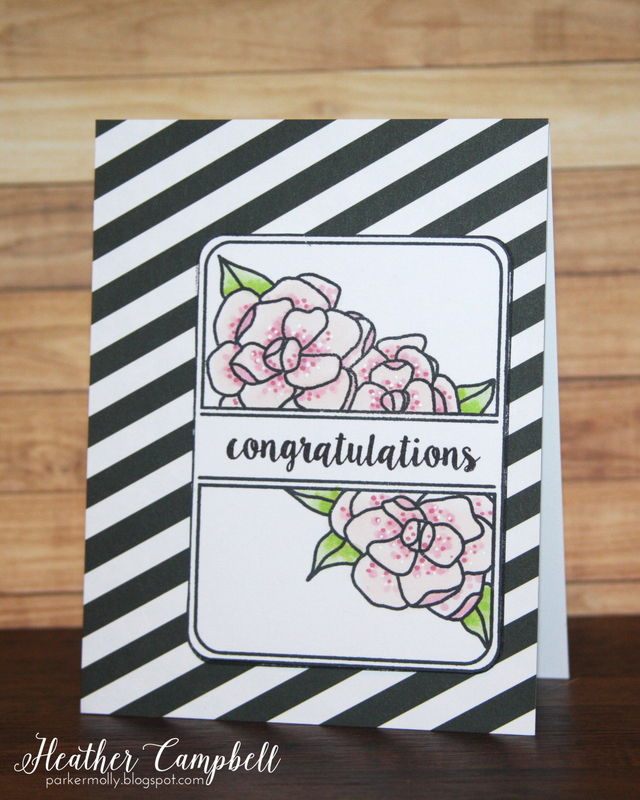 Then, I fussy cut out the journaling card and mounted it on a card base with a patterned paper front. 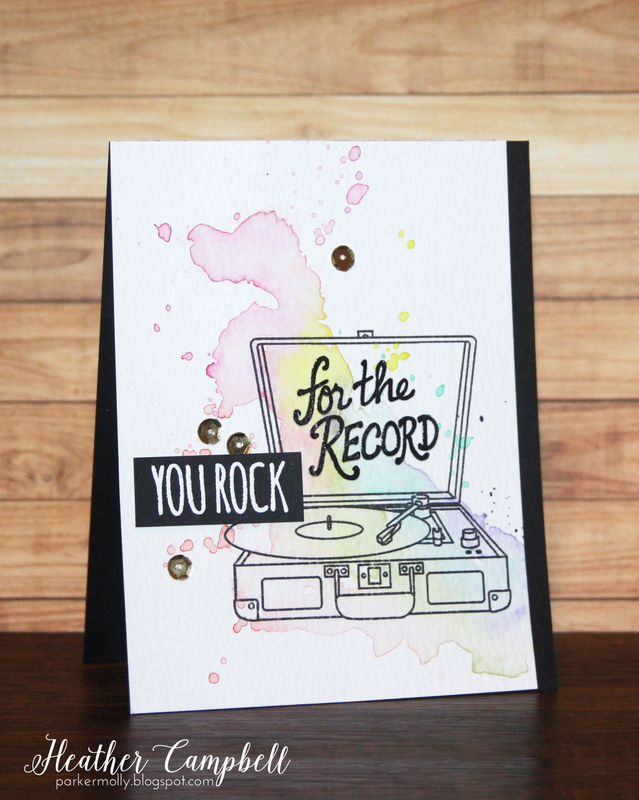 I love the simplicity and boldness of this card so much! 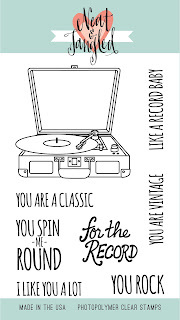 Next up, I used the new For the Record stamp set. When I saw this set, I knew I had to do something like this eventually and I'm so glad I finally went and executed just what I had envisioned! First I stamped the record player on watercolor card stock. Then I went in and got it wet and brought the watercolors to the paper in spectrum of rainbow colors. I had lots of fun flicking the watercolors around to create splatter too! Once it was dry I added a heat embossed sentiment and some gold sequins from Sunset Shimmer. FABulous inspiration! Love the cards! Such pretty cards...the gardenia blooms die is amazing!